In 1660 the very first section of what would later become known in New France as the Chemin Du Roy (The King’s Road) was built through Québec City. Later in 1706 the Grand Council of New France decreed the road be extended all the way to Montréal, thereby linking the population in the growing communities along the length of the northern banks of the St. Lawrence River. Construction began in 1731 and when it was completed in 1737 the Chemin du Roy was 7.4 meters (24.6 ft) wide and 280 kilometers (174 miles) long, making it at that time the longest continuous North American road north of Mexico. Back in the day a trip by horse and carriage between Québec City and Montréal would take between four to six days, depending on the weather. But things evolved and after the railroad had replaced the road in terms of importance, then the automobile came along. Yes the road was paved, but cars and trucks required bigger, better roads and divided highways. Today driving the speed limit on either Highway #20 on the south shore or #40 on the north shore, will get you from one city to the other in about three hours. All of this would take even more traffic and purpose away from the old road. Seeing that an important part of our heritage was slipping away, in 1999 the provincial government instituted a tourism initiative to invite people to rediscover the historic old road before it was lost and forgotten forever. The road was sign-posted along its entire length. Historical and tourist information markers were also added to make it easier for tourists who prefer life in the slow lane, to find the most interesting spots to visit, stay, eat, and discover. 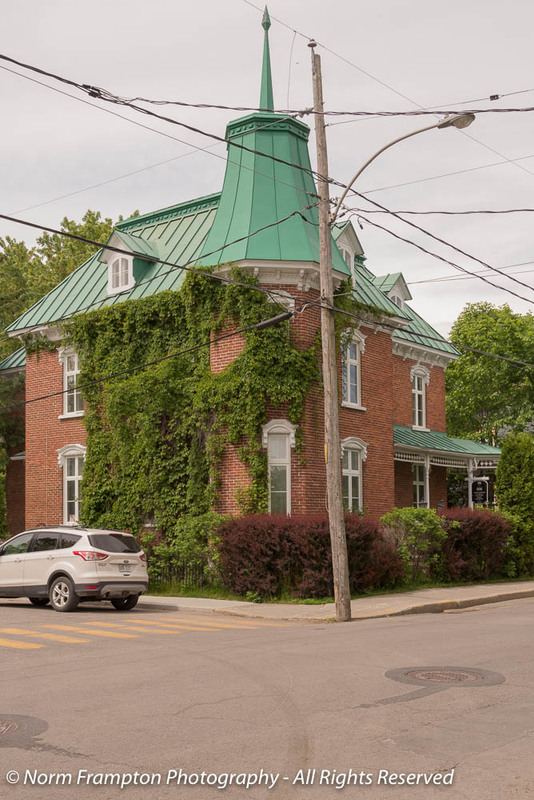 This week I thought we’d stop in the town of Berthierville, just off the eastern tip of the island of Montréal, which is where most agree the road really starts to get interesting. This one in the corner of the old town square has a wonderful copper roof. And the fancy door is not too shabby to look at. I took a number of shots of this one but no matter what I did I could not fit the whole structure into the frame. A straight-on shot of the door. Not so much for the door, but the elegant lines, covered wrap-around porch, and the tin roof with the little ice-breaking widgets all caught my eye on this one. 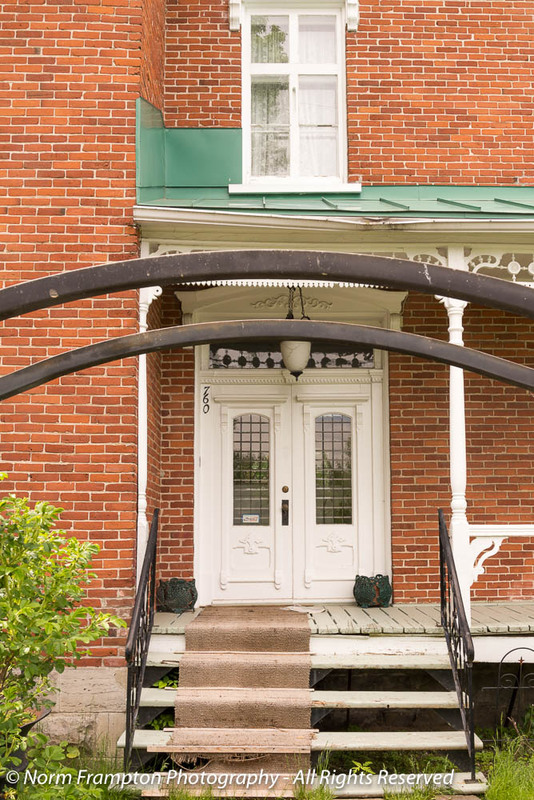 Gallery | This entry was posted in Photography, Thursday Doors and tagged Berthierville, Canada, Chemin Du Roy, Doors, Historic Architecture, Historic Buildings, Québec, The King's Road, Thursday Doors. Bookmark the permalink. You had some awesome sights in this post collection of doors, Norm. I had a great vacation from 6/30 until 7/7/17 when my daughter got married but quite a busy and fun holiday. The favorites of mine were #730 and #660. The first (730) was such a great combination of all the best features, brick with white shutters, a turret, window panes open and whatever you would call the rectangular white box of windows with cornice above it ? Superb! 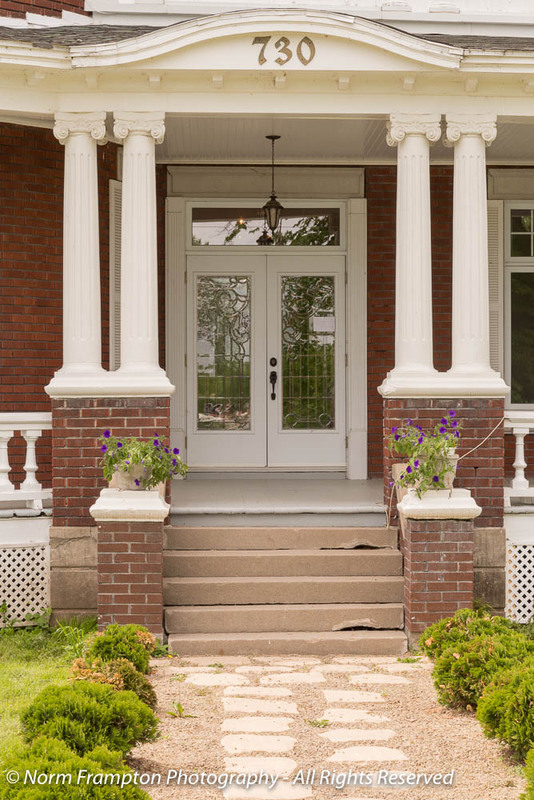 The oak honey-colored door was such a beauty, with brick house and white pillars at 660. Another fantastic doorscursion. Really amazing houses. I’m particularly fond of the one with the copper roof. I love the Victorian house. Love the houses. That last door was pretty too. What amazing houses. Love the selfie – I keep doing that too. Thanks. Yes those selfies are almost always accidental. Very classy. I love old houses like these. Thanks Sherry. Me too. 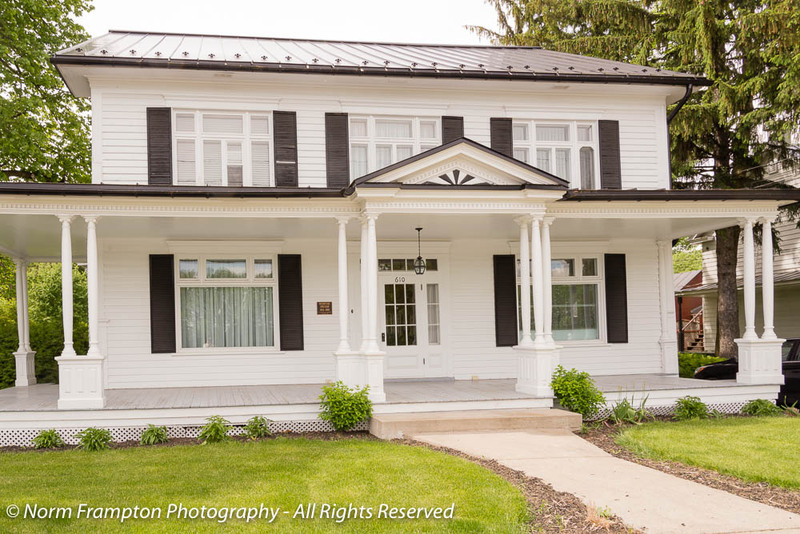 We love staying in B & B’s in big old homes like these. Such pretty houses and doors, Norm. I like all of them! It’s a much slower way to go with all the small towns and villages along the way, but there a lots of good excuses to stop and explore. 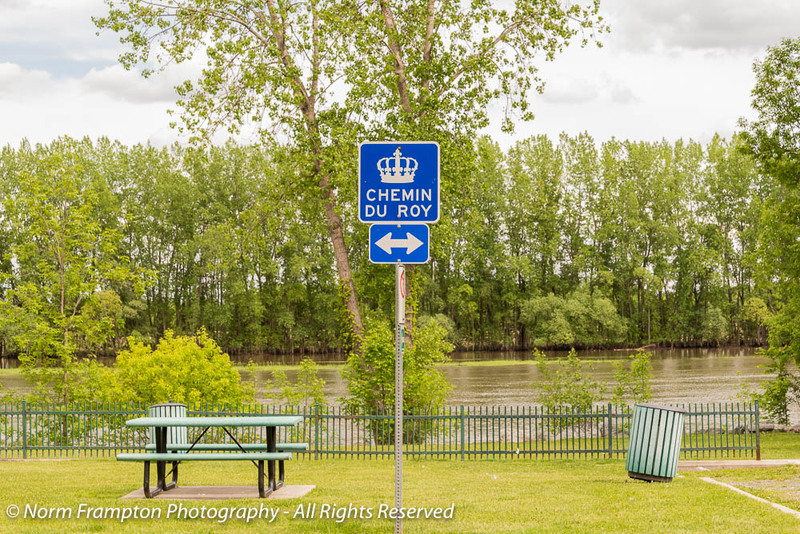 I would guess the Chemin Du Roy would make a wonderful road trip! 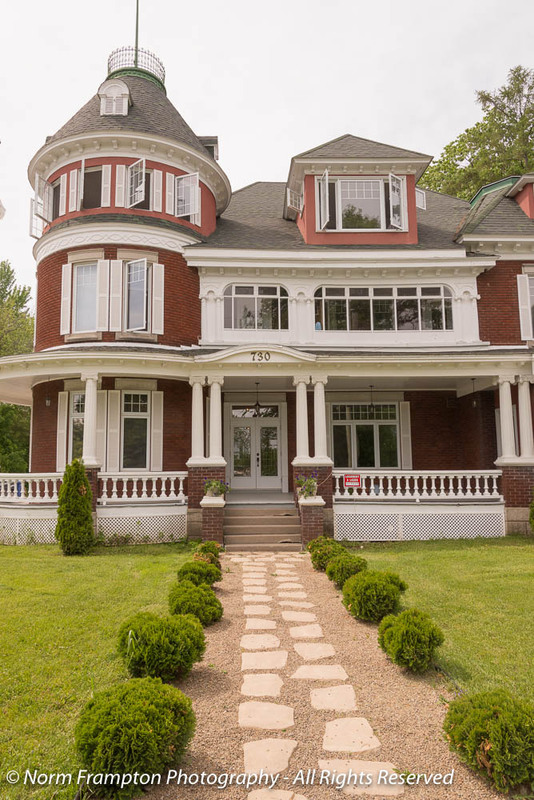 That second house is a total and complete charmer! I love everything about it, except that I don’t have one exactly like it. lol! Love the selfie shot — those doors are beautiful, too. Thanks Marian. There are some lovely BIG old homes along that stretch. Love the doors and as always, love the historical notes. Must be the selfie! 🙂 In the best door too! Yes, Maggie came up with that. It has a nice ring to it. We door nuts are slowly building up our own vocabulary. I like 730. Those front doors have just the right kind of sparkle to make me happy. When do I get to move in? 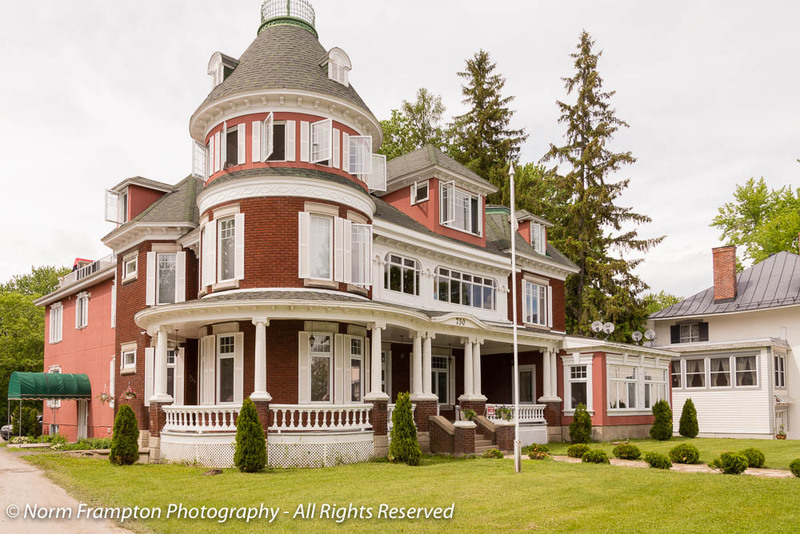 I love these small historic towns with their grand elegant homes, and Quebec seems to have an abundance of them. I wish Gilles liked slow travel and would be interested in taking the scenic route. There is just so much beauty to see. Thanks Joanne. If you ever wanted to explore the area just let me know, you’d have two enthusiastic tour guides willing to join you. Funny, I mentioned your post to him and Gilles is all about getting from point A to B as quickly as possible. Ironically, he said he had taken that route one day because of congestion on Highway 20 and thought it was really beautiful. Love the selfie, or, as Maggie says “door-fie” but that first house is magnificent. I know the feeling of struggling to get the house in the frame without lying on the ground or calling in air-support. I am very glad the government decided to keep the road alive. It’s nice to be able to experience history. At some point the provincial tourism bureau started to step up their game and thankfully so. There’s such a rich history here to preserve and celebrate. HMM I did a selfie like that this week too! Gorgeous homes. Thanks Jackie. Often those kind of selfie’s happen without me even realizing I’m being reflected in the door or window. What a great place for a bit of slow travel and these houses are gorgeous. Life in the slow lane can be a lot of fun. Oh Janet, as I get older I so much prefer life in the slow lane. I’d rather take a few hours more and really soak in a place rather than cover lots of ground but not really see much of anything. Very pretty indeed. I’m a fan of the open windows. Seems so welcoming. Great fancy doors, the 660 selfie one the most. Really lovely carving details. Thanks Joey. Before the days of air conditioning I bet those open windows were an absolute necessity on hot summer days. Thanks Debbie. I put yours on the link-up list. The house with the turret and rounded features: I can feel the breezes blowing through the open windows. 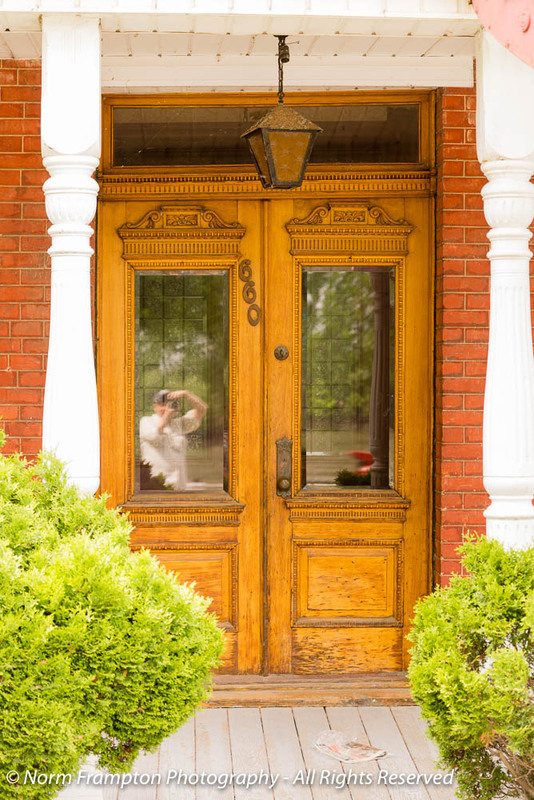 Love the “door-fie” – your image reflected in the final shot. Breezes, yes I can feel them too! What fun to learn about the Chemin du Roi! And another QC place to add to my list to visit. I especially love that copper roof. Link was not working. Great door photos! Sorry, you linky list appears full of advertisements. I didn’t know where to put my link. Thanks Jean I totally agree about preserving history and culture. Not only is it important but there can be good business opportunities in doing so.